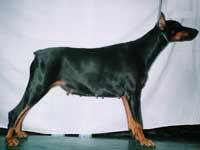 Sarsesh Kennels offer for sale, two Black & Tan Female Dobermann Pinscher puppies, having elegant head, correct angulation, good topline, impressive size and height . Both pups are 5 months old, & Ear cropped (Ears are standing erect), Fully Vaccinated and Dewormed till date. 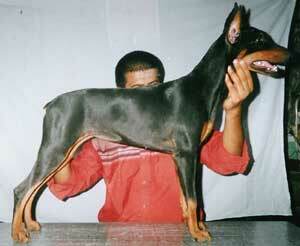 Sire: Dayspring's Dominator Romeo (CC winner & G.G.s/o Ferry Vom Nordenstamm.) 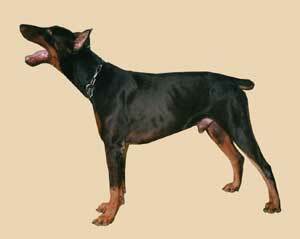 The legendary Norden Stamm lines of Germany, are known for their superior confirmation and reproductive abilities. 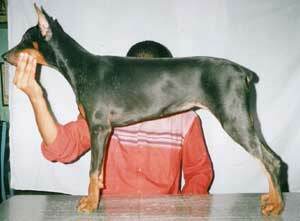 Dam: Princy is G.d/o of Dog of the Year(1994 - 95) Ch.Rising Star of Harase Garten -Imp. (Boss).